Happy Chinese New Year! Gong Xi Fa Cai! ANG POW NA LAI! .... ummm... I wish I can collect ang pow this year but I just gotten married last November and this year is my first year giving ang pows away. It definetly feels weird, Im so inexperinced in this and made a few mistakes and kelam kabut a few times :P It was my first time, so I didnt know much... and I took very little ang pow out and suddenly got a few extra ppl who will come for visiting, I panicked! LOL lucky I got a few red packet extra in the car and quickly put in money for them... LOL! SO, next time I will just carry alot of ang pow so that I wont kelam kabut! Lesson learned! It was also my first time staying back in KL with Marcus' family. I have to admit that I almost cried as Ive never been apart from my family during reunion dinner, I never missed once as I didnt study overseas. 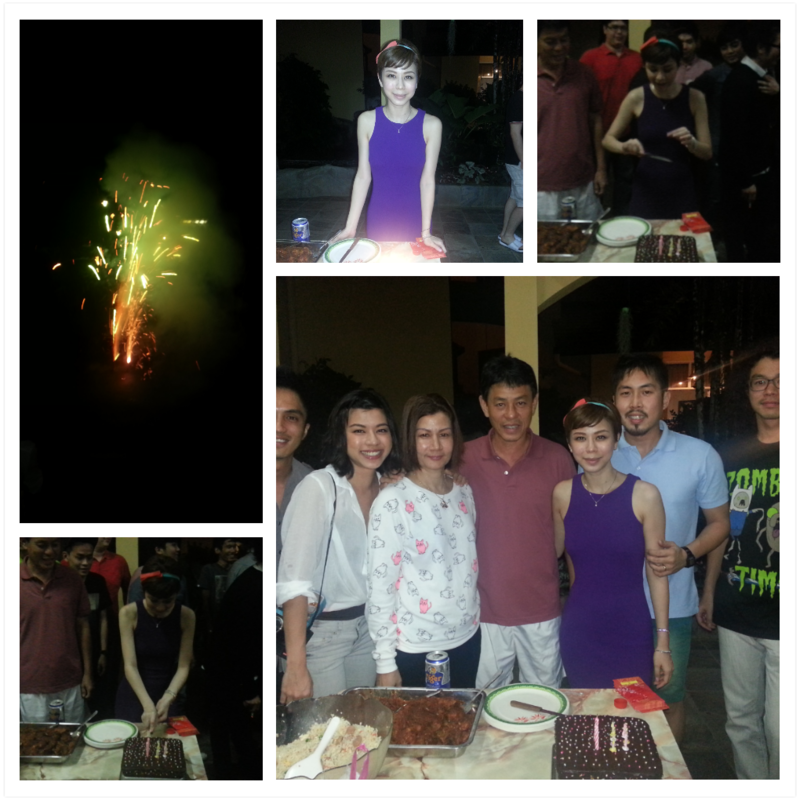 But everything went smoothly and Marcus' family treated me well and welcome me to the Ng family at his uncle's house. But to be fair, Marcus and me agree to alternate the reunion dinner, which means next year I will be having reunion with my family and Marcus in Taiping :) I think that's only fair, right? During the first day of CNY, Im already back home in Taiping, this year, we had LION DANCE at our place! I had to admit that Im afraid of this.... hahahha traumatised since young! But it was fun watching :) The kids are really talented and cute! We painted it at the backyard of the house, listening to music and drinking beer :) It was indeed a fun family activity... thats is why I had no time to blog! 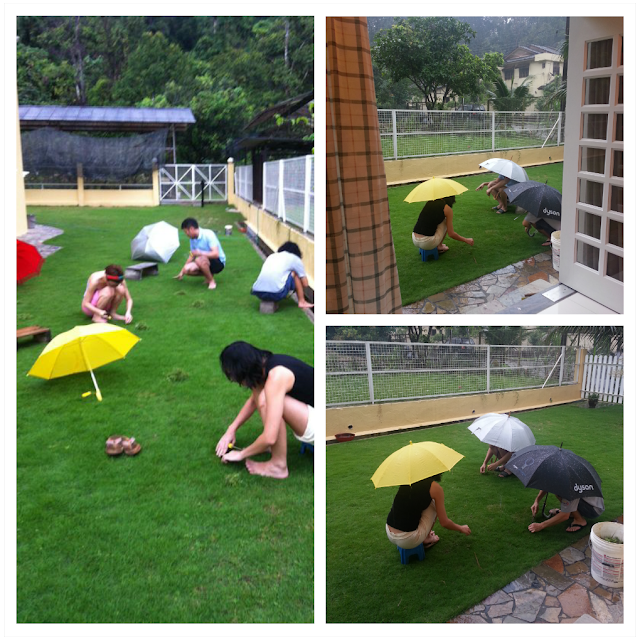 oh we also cabut rumput and make it as a family activity! heheh, we been helping my dad doing this ever since we moved in about almost 15 years? I am now 27 years old. old. old.